Ethics CORE features interlocking social networking communities, including those for journal editors, principal investigators, research integrity officers, ethics instructors, students, administrators, researchers and more. The forums enable users to network with peers who face similar challenges and to solicit advice on best practices. The purpose is to arm professionals and researchers with the support they need to make the right decisions every day. Ethics CORE is an online library that gathers information on ethics from academic journals, news articles, curricula and other sources in one place. 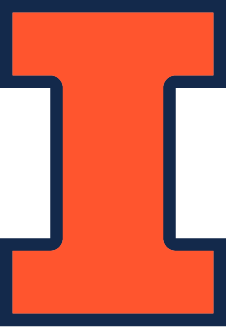 In addition, the site will utilize sophisticated tools, including federated search technologies, digital preservation software, user ratings and metrics, natural language search and discovery functions and an online document delivery system to provide users with licensed materials available through the University of Illinois Library system. In collaboration with its partners, NCPRE is creating a collection of peer-reviewed encyclopedia articles on central topics in professional and research ethics and ethics pedagogy. The articles are revised periodically and are posted on Ethics CORE. The Center will provide examples of best practices for researchers, administrators and instructors, such as sample informed consent forms for different kinds of research projects, model procedures for handling allegations of research misconduct, recommended policies for handling plagiarism and duplicate publication in journals, and examples of effective instructional methods. These are available on Ethics CORE, or you may contact NCPRE for more information. NCPRE, through Ethics CORE, enables contributors to share materials for teaching professional and research ethics, such as course syllabi, text cases with instructors’ guides, video cases with commentaries and assignments for students.